Experience an entire Universe of breathtaking adventures. Get into the action of your favorite movies and TV shows. Universal is an extraordinary destination filled with thrills for all ages. These are the moments you’ll want to relive over and over. Vacation like you mean it at Universal. Small World Vacations can help you save time, headaches and money on your Universal Orlando Vacation. We book a minimum of 3-nights or more at an onsite Universal Hotel. Have questions? Your Small World Vacations agent will provide their direct phone number in your price quote and will speak with you before you pay your deposit. We are here to answer your questions and concerns throughout the process. Guaranteed Quote – If you would like a guaranteed quote, a Small World Vacations agent will set up a no-obligation reservation with Universal in your name. Booking a courtesy hold reservation is the only way to guarantee discounts, price and availability while you review your emailed price quote. In order to do this for you, we will need the names of all guests and the ages of any children under 18 years old. Rest assured, we never share your personal information with anyone but Universal and your no-obligation reservation will automatically cancel if you decide not to take it. Reference Only Quote – If you would like a quote for reference only, a Small World Vacations agent can provide you with pricing that is not guaranteed. Please note that Universal vacation prices and availability can change within a matter of minutes unless a courtesy hold is set up for you. Let's get the Action started! Simply fill in the form below, as best you can, and within 24 – 48 hours or less, you will receive an emailed price quote from one of our Orlando Vacation Planners. Thank you for your patience while we search for discounts and availability for you. Is this your first Universal Orlando Vacation? -- please select --BirthdayAnniversaryHoneymoonFamily ReunionGraduationOther – please explain in special requests box below. We will note your special occasion on your reservation. If you may be eligible for a discount please include details in the space below. If you are staying at an on-site hotel for at least 4 nights and purchasing park to park tickets for 3 days or more, are you interested in a Wizarding World of Harry Potter – Exclusive Vacation Package? 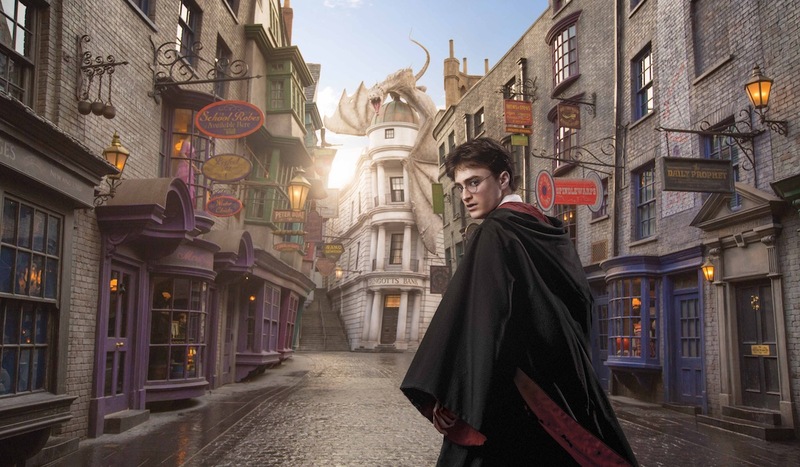 Yes, I am interested in booking a Wizarding World of Harry Potter – Exclusive Vacation Package. No, I am not interested in a Wizarding World of Harry Potter – Exclusive Vacation Package. Small World Vacations books a minimum of three consecutive nights at an onsite, Universal Resort Hotel. No, I do not need ground transportation. Do you want to add Cancel for Any Reason travel insurance to your Vacation Package? Yes, I would like to purchase Cancel for Any Reason Insurance. No, I do not want to purchase Cancel for Any Reason Insurance. Are you interested in adding any dining to your Universal Vacation Package? Are you interested in adding a pre or post stay for 3-nights or more at an on-site Walt Disney World Resort? Yes, I would like to add a pre or post stay at an on-site Walt Disney World Resort. No, I am not interested in a pre or post stay at Disney World. Are you interested in adding a cruise from Port Canaveral before or after your Universal Vacation? Yes, I am interested in adding a Disney Cruise from Port Canaveral. How can we make your Universal vacation special?